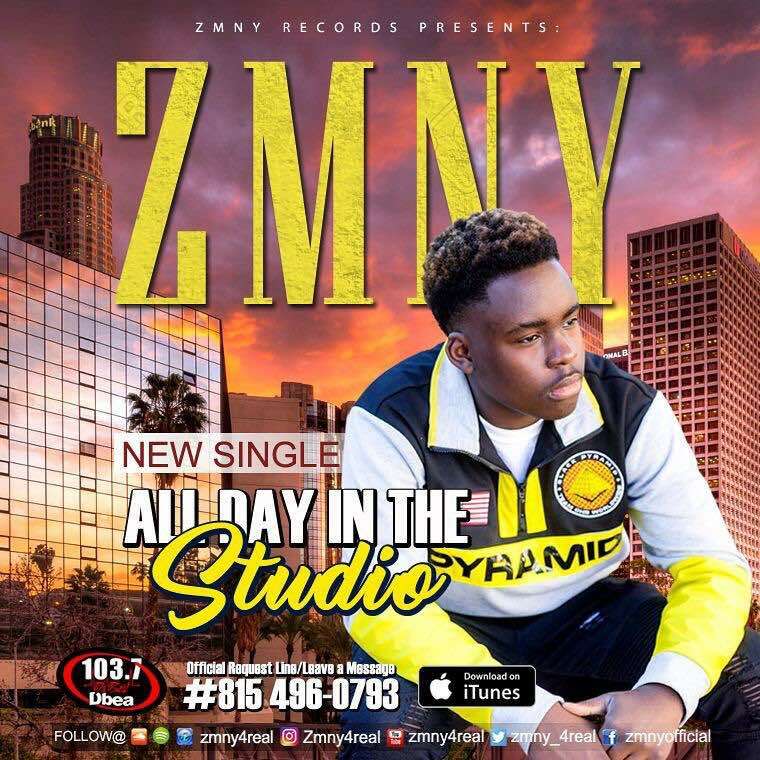 ZMNY RECORDS Presents ZMNY an International Artiste To Hit The Music Scene. He Brings A New Energetic Sound To The Music Industry. After the release of his smashing hit "Alhaji", "Winning", featuring Reekado Banks, "Call Me", featuring Dj Khaled, "Haterfree", featuring Ray J which brought him to limelight, he’s back with a big club banger titled "All Day In The Studio" attached with a lyrics Video to complement it.